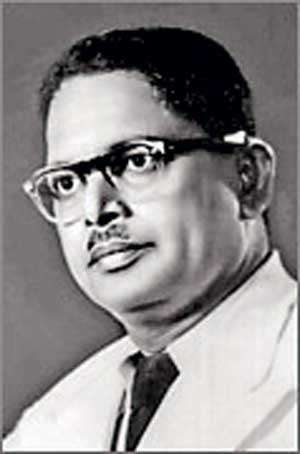 The passing away of Mr William Henry Samaranayake, retired Principal of St. Bernadette’s College, Polgahawela in the year 1969, had removed from the public life of this country a great educationist and silent social worker, whose activities were directed to the welfare of the students many of whom rose to power and distinction. When Mr Samaranayake took over St. Bernadette’s College, it had only a few cadjan huts to house the students.Mr Samaranayake’s courage and perseverance helped to build up the magnificent buildings for the college. He was not only of an unassuming disposition, but also had dignity without pride. He was calm and collected in the manner and was a gentleman par excellence. Mr Samaranayake belonged to an age which is fast sliding into history but he successfully accomplished his tasks reaching eminence in diverse fields. His philanthropic genius enabled many unfortunate children to bask in the sunshine of his great-hearted acts of generosity. Mr Samaranayake will long be remembered as a great educationist, who disciplined and moulded the characters of students, to be respectful towards parents, elders and the State. Those students who occupy positions of dignity in the country today owe a great deal to Mr Samaranayake. He was also a prolific writer to the press and his articles were directed towards creating public opinion. Three great positions worthy of human ambition are to be the ruler of a great city, the Principal of a great school and the author of a great book. Mr Samaranayake was not only the Principal of that great school, St. Bernadette’s College, but he was also the author of four great books English with a Smile (Books 1, 2 & 3) Practical English, which is almost a vade mecum (Handbook kept constantly at hand) and a sine qua non ( Absolutely necessity) to students of English in Sri Lanka. 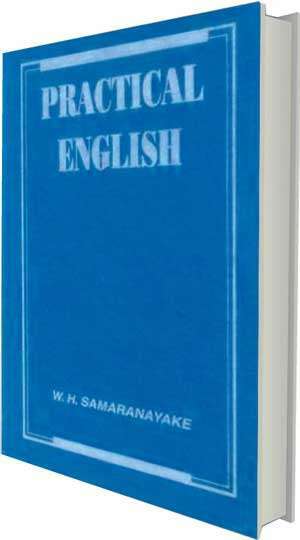 Mr Samaranayake has gone to his eternal rest, but he will live forever in his great books English with a Smile & Practical English, which as textbooks in Sri Lankan schools, have proved and will prove as invaluable guides to generations of teachers and students for years. The world has lost a great educationist, who was distinguished for his simplicity, his high sense of duty and integrity. To have you fill your vacant place. Still loving, helpful as before. And that helps us to bear the blow.